“We pick Georgia!” Georgia Governor Nathan Deal and First Lady Sandra Deal join the Peach Pickers (Ben Hayslip, Dallas Davidson, and Rhett Akins) on the Peach Carpet before the start of “Georgia On My Mind” Tuesday at the Ryman Auditorium in Nashville. The Ryman Auditorium may be one of Tennessee’s most iconic entertainment venues, but on Tuesday evening (May 16), it was all about Georgia as songwriting trio the Peach Pickers’ Rhett Akins, Dallas Davidson and Ben Hayslip hosted the Fourth Annual Jameson Irish Whiskey Presents Georgia On My Mind concert, benefitting the Georgia Music Foundation. Dallas Davidson took the stage, with Hayslip and Akins following moments later. “This is how our writing appointments go, except usually Ben shows up first, and then Rhett,” Davidson quipped. The trio performed several chart-toppers they penned, including “All About Tonight” and “Honeybee” (Blake Shelton) and “Huntin’, Fishin’, and Lovin’ Every Day”(Luke Bryan). 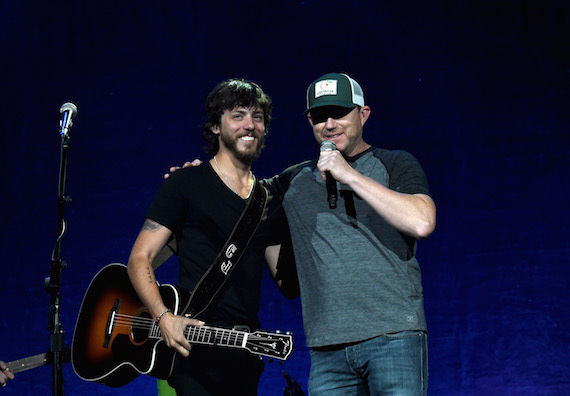 For songwriters who spend perhaps the majority of their time in writing rooms, the trio was clearly at home onstage, surrounded by a crowd of fellow Georgians ready to party in support of their homestate. They had plenty of fellow artists ready to help with that endeavor. Newcomers Cole Taylor, Jon Langston and Trea Landon, as well as Georgia luminaries including T. Graham Brown, Amy Ray of the Indigo Girls, Georgia band Drivin’ N’ Cryin’, Wet Willie’s Jimmy Hall, Dexter Redding and Otis Redding III (sons of soul icon Otis Redding) all performed. 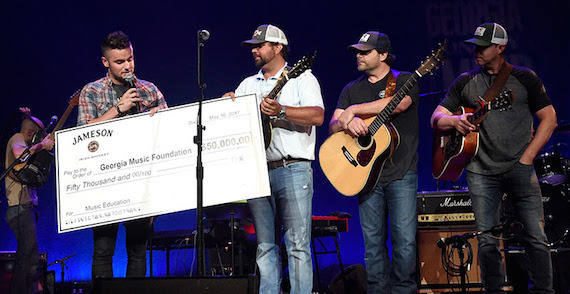 The night’s biggest surprise came when Rhett Akins took the stage to introduce surprise guest, his son Thomas Rhett. As Thomas Rhett walked onstage, the crowd’s screamed reached a feverish pitch, befitting his current ACM Male Vocalist of the Year status. 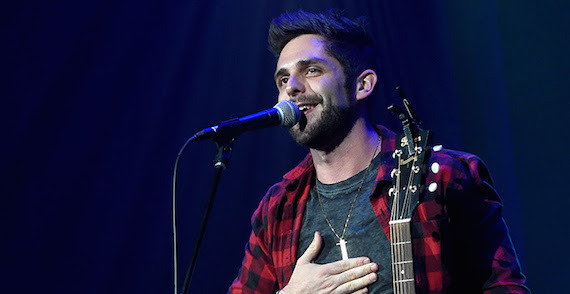 The performance is one of Thomas Rhett’s first since welcoming home his daughter Willa Gray Akins, who the singer and his wife Lauren Akins recently adopted from Uganda. “I’ve been a dad for five days now, and it’s intense,” he told the crowd. “I’m just a bit tired.” Still, he captured the crowd as they sang along to “Die A Happy Man,” which was honored as Single of the Year at last year’s CMA Awards. Making a special appearance were students from the Georgia Pick and Bow Traditional Music School in Dahlonega, which received a grant from the Georgia Music Foundation in 2016 from concert proceeds. Georgia governor Nathan Deal was honored with the Flamekeeper Award for his work in promoting Georgia’s music. 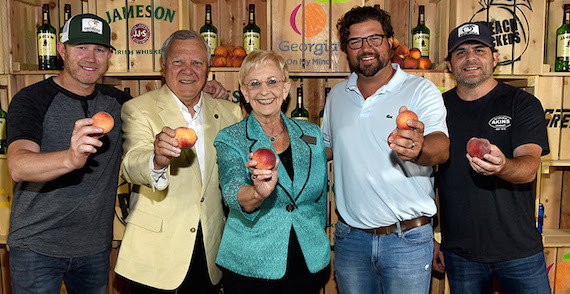 Additionally, the event’s title sponsor Jameson Irish Whiskey, presented a $50,000 check to the Georgia Music Foundation. The foundation has distributed more than $150,000 in funding to music education, preservation and outreach programs. 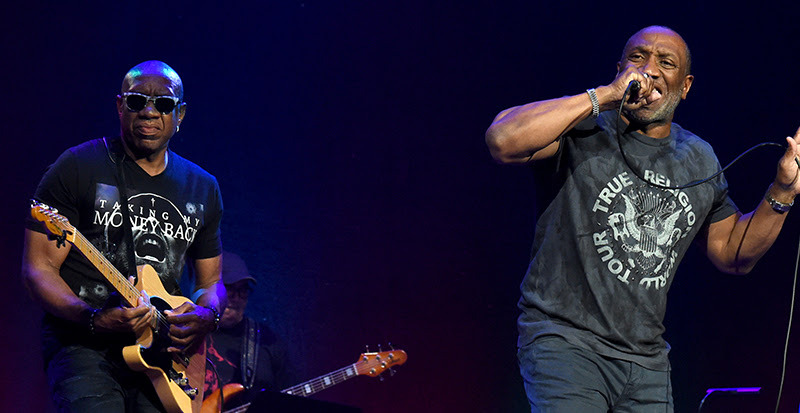 Otis Redding III and Dexter Redding perform during “Georgia On My Mind” Tuesday at the Ryman Auditorium.